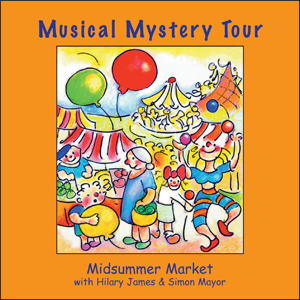 Join us on a trip to the Midsummer Market and June Day Fair at Royal-Ashton-Snoozington-on-the-Wold. The cobbler, the conjurer, the acrobat and all our friends will be there. Meet the Grand Ol' Duke of Pork, Thomas and the Strange Stradivari and the Spider in the Shed.